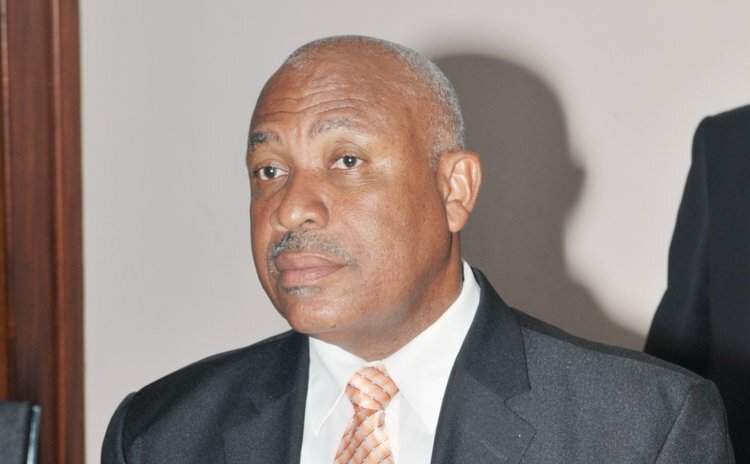 (CARICOM Secretariat, Turkeyen, Greater Georgetown, Guyana) Secretary General of the Caribbean Community (CARICOM) Ambassador Irwin LaRocque, on Thursday said he welcomed steps being taken by Dominica to make the Caribbean Court of Justice (CCJ) its final court of appeal. The Secretary General was speaking during a ceremony at the CARICOM Secretariat headquarters, Turkeyen, Guyana, where Ambassador to CARICOM from Dominica His Excellency Felix Gregoire presented his credentials. According to Ambassador LaRocque, "Dominica's contributions in advancing the work of the Community, particularly in relation to the CARICOM Single Market and Economy (CSME) cannot be disputed". He said he hoped the new Ambassador would be at the forefront of endeavors towards the advancement of regional integration. Ambassador LaRocque also outlined that the Community was engaged in a process of reform that encompassed every facet of its operations and institutions that must result in a change in the way it functions. He said this included the roles of the Secretariat and the institutions of the Community. The CARICOM Secretary General thanked the new Ambassador for his assistance during recent consultations in Dominica, which formed part of the reform process. "We will be looking to you as Change Driver to continue as the voice, advocate, enabler and mobilizer for the Community change process at the country level as well as to be engaged in the process within the Secretariat and the Community Organs" he said. Ambassador Gregoire in his remarks said his country was aware of the importance of the regional integration movement. He said he was pleased to be appointed as Ambassador to CARICOM at a time when there was overwhelming desire to make the organization more effective and efficient. He said he was very impressed with the level of participation from the people of Dominica, who responded to the CARICOM Team with great enthusiasm during the reform consultations. The Dominican Ambassador commended the Secretary General for the emphasis being placed on the Youth by the Secretariat and noted that the future of any Institution rested with the Youth. "I daresay that the future for CARICOM looks bright" he said.